10/2010 Piecing Partners Whisper Challenge Group 5. Quilter1-Landscape with pod. 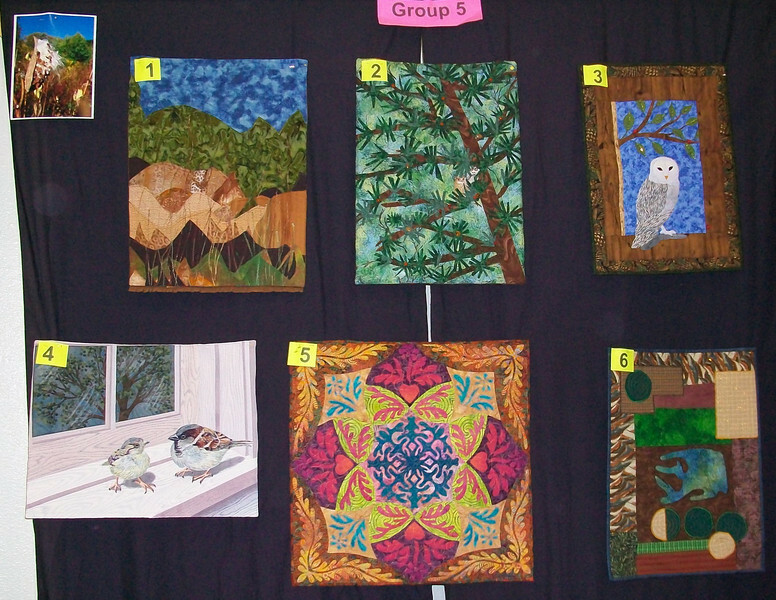 Quilter2-Owls in tree. Quilter3-Owl. Quilter4-Sparrows. Quilter5-Just took the opportunity to make a Ricky Tims quilt. Quilter6-Blues, greens and other colors from quilt 5.